Did you know that Big Sky, Montana is home to the Biggest Skiing In America? It's true. Big Sky offers a truly unique ski experience and it's earned it's big reputation for good reasons. Where else can you ski entire runs without seeing another person, access a vast network of chairlifts without a single line, play in 5800 acres of pristine ski terrain, top out on the summit of the iconic Lone Mountain, and ski nearly 4350 vertical feet? Big Sky is big in every aspect. Now there are other resorts that boast more terrain, bigger vertical drops, and longer lift lines. The difference is that Big Sky delivers the full package. With terrain spanning four separate mountains, Big Sky is appealing for skiers and riders of all abilities. Combine this with hundreds of named runs including groomers, bumps, trees, chutes, gullies, couloirs, bowls, and bunny hills and you literally have the ideal ski experience for everyone. When you throw the Lone Peak Tram into the mix you have an experience unlike any other resort in America. The Lone Peak Tram whisks you 1,450' in 4 minutes to the tippy top of Lone Mountain at 11,166'. From there you have endless views of countless mountain ranges, 3 states, and 2 national parks. 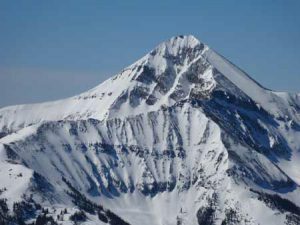 When you stand at the summit of Lone Mountain, you'll truly see that Big Sky is the Biggest Skiing In America. You don't get views like this anywhere else. After soaking in the views, you then get to ski one of the greatest runs of your life. But Big Sky also has one other ace in the hole - spectacular snow. Everyone will enjoy the high quality snow conditions that Big Sky sees every year. On average, over 400+ inches of light and fluffy snow fall during the winter season. In a season that lasts roughly 140 days, you're almost guaranteed to ski the best snow of your life this year. Looking to the future Big Sky is only getting bigger and better too. In 2016/2017 they installed two brand new state of the art chairlifts. New runs are gladed every season. The Big Sky 2025 plan outlines even more new chairlifts, base area development, on-mountain restaurants, expanded terrain, and more. As things continue to grow, Big Sky continues to live up to its name and that's why Big Sky is and always will be the Biggest Skiing In America. Are you ready to plan your trip to Big Sky? Come and see for yourself why Big Sky is the biggest and the best. 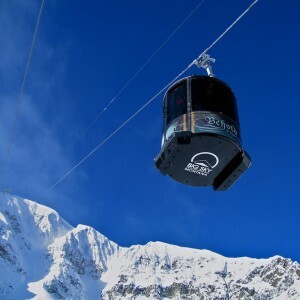 Is Big Sky The Best Ski Resort? We Say Yes!